Keeping horses comfortable, at a healthy weight, and working happily are all challenges that face everyone who owns or cares for a horse or pony with ulcers. Equine Gastric Ulcer Syndrome (EGUS) affects roughly 40% of leisure horses, 60% of competition horses and up to 90% of racehorses. 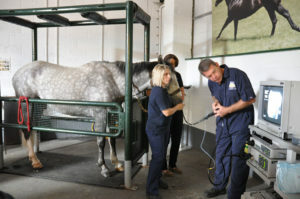 But a brand new survey commissioned by Dengie, has found that while awareness is high about the key ways to manage horses with ulcers, some of those easy to deliver methods are still not being widely used. While over half of the respondents who believed their horses suffered with ulcers (67%) had increased their horse’s access to hay or fibre, only 55% were feeding a double handful of fibre shortly before exercise and 38% weren’t avoiding cereals/starch. 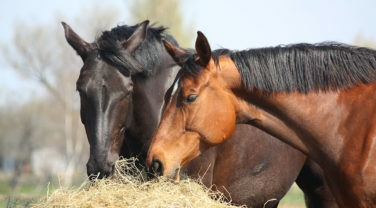 “While we fully understand that some EGUS management techniques are not within everyone’s power to deliver, feeding before exercise is quite easy to do, and reducing starch is universally recognised as being essential for managing EGUS and I’d certainly hope to see both of these strategies used more consistently,” says Katie Williams, Technical Manager of Dengie Horse Feeds. Very nearly half the respondents (49.4%) had found their horse’s ulcer symptoms had recurred, underlining the need to develop an appropriate and effective ongoing management regime for sufferers. In addition, for one fifth of respondents it was a challenge to find a feed that was palatable to their horse and almost a quarter struggled to keep weight on their horses. 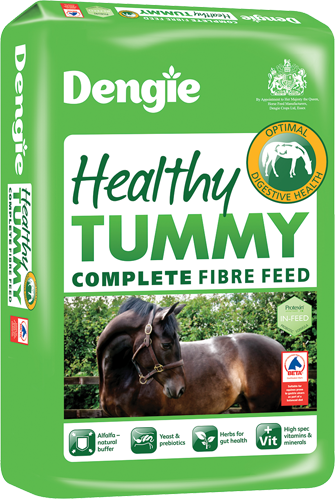 On the plus side, there is high awareness of the fantastic information and advice available from horse feed companies like Dengie Horse Feeds, who can suggest all kinds of possible solutions. “We now have three horse feeds independently assessed and approved by BETA as being suitable for horses and ponies prone to EGUS which underlies our commitment to produce feeds that are as sympathetic to the horse’s digestive system as possible,” adds Katie Williams.